About 7 am every weekday morning, Hector, the Wheaten Terrier, and I go out to get the newspaper. On days when the sky is not completely covered with clouds we see a bright light on the heavens straight ahead. It is a reminder of a Christmas star, a guiding light, and a Liahona. But what is it really that we see? My father was an avid astronomy enthusiast. He had many books on stars and planet. He read them, especially at night, while he ate a banana and drank a glass of milk. He would bring me outside on crisp winter evenings when the sky was covered with stars. Even the Milky Way was visible. He would point and explain - and I loved listening to him. It's Venus that we see. It's called the Evening Star when it's visible after sunset and the Morning Star when we see it before sunrise. 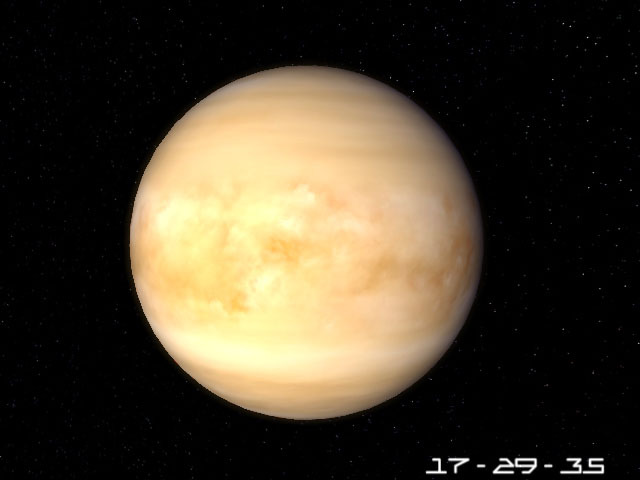 Named after the Roman goddess of love and beauty, Venus is the only planet named after a female. Renaissance artist .Botticelli painted his most famous painting of the Birth of Venus and another one called Venus and Mars (Beauty and Valour) - not to be mistaken for Paul McCartney and the Wings fourth album with the same title. So we all have our passions - things we get really excited about, something that makes us want to put things aside and just delve into. This post today features two of mine. Art History and Astronomy. What are some of yours? I want to bring Arnfinn outside on a cold January night - with sleeping bags, tons of clothes, and hot chocolate - and look at the stars and learn more. Sounds like a perfect date to me. I gave Arnfinn a constellation a few years ago. Just like that. It's called Cassiopeia. It looks like a "W" and since I nickname him Waldemar (or Wally) I found it appropriate. If you want to learn more about stars and planets, click on the link. It's fun. I bet, most astronomers don't know that my husband is the owner of one of the famous constellations. 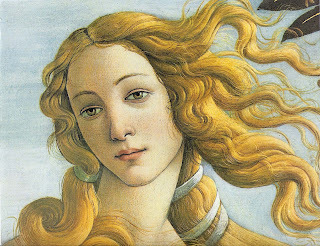 Today's photos: Two photos of Venus and a detail of Sandro Botticelli's "Birth of Venus".